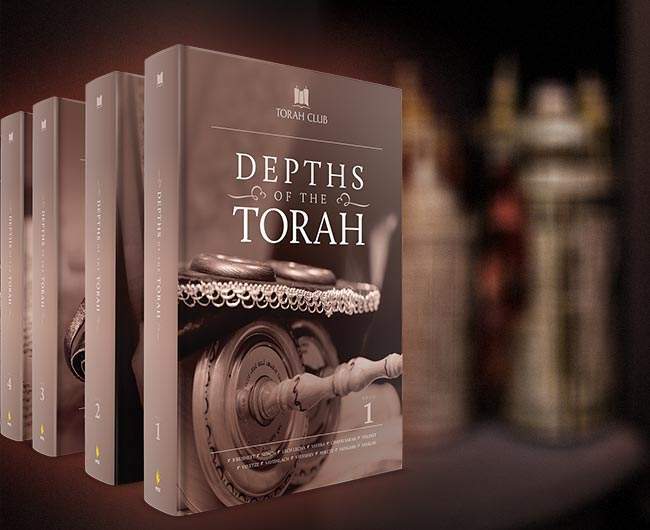 Depths of the Torah takes students deep into the stories and laws of the Torah, revealing the kingdom and examining each of the 613 commandments through the eyes of the sages, the Messiah, the Prophets, the Gospels, and Paul's writings. Depths of the Torah is filled with mind-blowing revelations as it unravels the mysterious laws of the Torah. This editions covers topics like clean and unclean, the detailed sacrificial system, the priesthood and Temple, and reveals their deeper, Messianic meanings. This Bible study reconciles the Gospels with the harsh laws of Torah including slavery, capital punishment, stoning rebellious sons, and taking eye-for-eye. It also answers questions about sexual relationships, polygamy, marriage, and divorce, financial obligations, investment, tithing, and charity. Study biblical poetry, narrative, midrash, and New Testament interpretation with a literary approach to Torah study. Examine apostolic interpretations of Torah and compare them with rabbinic thought. Depths of the Torah categorizes each of the 613 commandments as it applies to Jews or Gentiles, men or women, with or without a Temple, in or outside of the land, and so forth, while keeping our eyes fixed firmly on the kingdom. Devotional, inspirational, and unapologetically Messiah-centered, Depths of the Torah offers practical applications for Torah-living for both Jews and Gentile believers. Why is Depths of the Torah important? It shows how the 'Old Testament' and 'New Testament' work together to provide direction for our lives and leads to discovering new truths about God. Book One: Teaches the book of Genesis, focusing on each commandment, while uncovering hidden depths in the lives of Adam, Noah, Abraham, Isaac, Jacob, and Joseph. Book Two: Teaches through the stories and commandments in the book of Exodus, revealing hidden depths in the life of Moses and the exodus from Egypt, the giving of the Torah at Sinai, and the construction of the Tabernacle. Book Three: Teaches through the book of Leviticus, focusing on each commandment, while plumbing the depths to the sacrifices, the priesthood, the Sanctuary, the biblical festivals, and the dietary laws. Book Four: Teaches through the stories and commandments in the book of Numbers while revealing the deep meaning of the census, the twelve spies, the rejection of the land, Korah’s rebellion, the red heifer, the prophecies of Balaam, and the encampments of Israel in the wilderness. Book Five: Teaches the book of Deuteronomy, focusing on each commandment, revealing hidden depths in the words of Moses as he reiterated the Torah and prepared the children of Israel for the last stage of their journey. Appendices: Additional essays, maps, charts, diagrams, indexes, bibliography, and other useful tools to assist you in your study of the Torah. 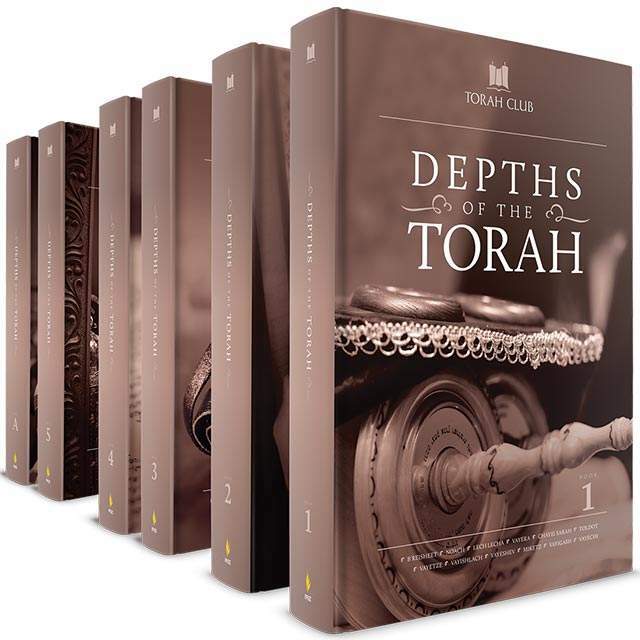 Depths of the Torah Audio Commentary contains fifty-four audio chapters corresponding to the fifty-four Torah portions. The audio magazine supplement includes a short introduction to the parashah, a Messianic teaching on based on the weekly parashah, insights from Chasidic sources on that Torah portion, a children’s story about the Torah portion, and a sample of the Hebrew from that week’s Torah portion cantillated according to the synagogue melody. Introduction: Boaz Michael provides a quick introduction to the Torah. Midrash: D. Thomas Lancaster delivers a teaching expanding on the commentary in the written materials on the weekly Torah portion. Hidden Light: Toby Janicki offers insights from Chassidic commentaries on the parashah. Torah Kids, Tales of the Sages: D. Thomas Lancaster tells a children’s stories based upon the lives of the sages from Talmud and Midrash. Chanting the Torah: Aaron Eby cantillates the Hebrew of the first aliyah of the weekly Torah.